What's this? 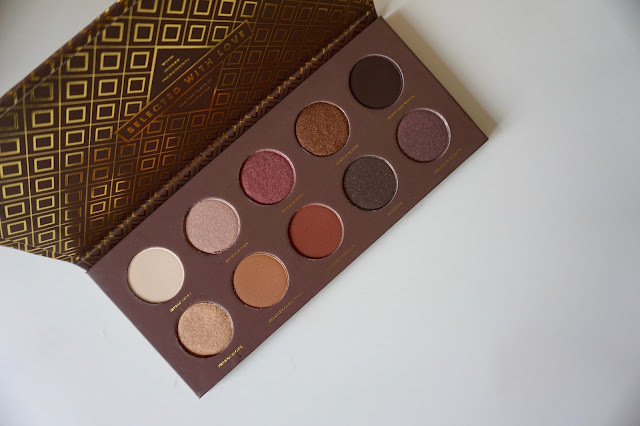 Zoeva came out with their Cocoa Blend palette just over a year ago, and it has become one of their most popular palettes. Having just dipped into Zoeva brushes earlier this year, I thought I'd give one of their palettes a go, and this one was just calling my name. Warm, earthy tones, ranging from matte white to matte black with 6 shimmers and 4 mattes. Where can I get it? You can find it at Beauty Bay, or the Zoeva website. It's £18 or €17.50. The Pros... I do absolutely love this palette. It has stiff competition when faced with the number of palettes I have, but I do find myself reaching for this fairly regularly. Surprisingly, one of my most used shades has been Warm Notes - I've used it in looks here and here. Substitute for Love, Freshly Toasted and Subtle Blend make a lovely easy smoky eye too. The formula is super buttery, and the pigmentation specifically on the more shimmery shades is spot on. I also love the packaging as it's nice and thin so fits into your makeup bag nicely. For other looks using the palette, check my Instagrams here and here. The Cons... 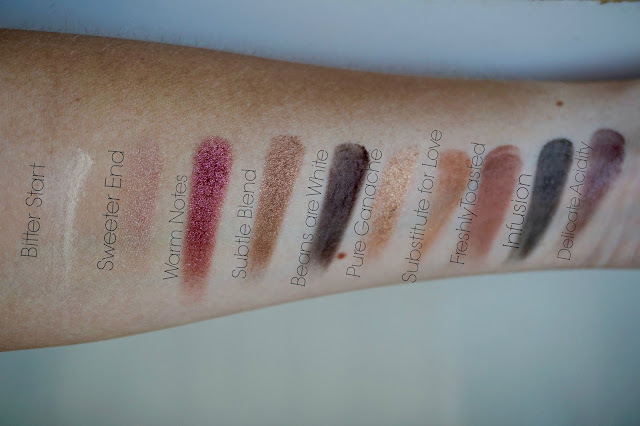 There's nothing really entirely 'new' about this colour range, so you're likely to find similar colours elsewhere, but for £18 for 10 shadows, it's an absolute bargain. The matte colours could be more pigmented (as you can probably see in the swatches), but it does prevent you from going overboard and you can definitely build the intensity up. What do you think? Have you got this palette? Let me know what you think of it in the comments!